In September 2016, The Money Charity released ‘Financial education in schools: how to fix two lost years?’ – original research into the state of financial education in English schools two years after its introduction to the Maths and Citizenship curriculums. The picture drawn by the 126 teachers we surveyed showed that the great leap forward we had hoped for did not happen. In part this was because incentives and funding for schools were still not in place, timetables remained rigid and other subjects competed for space. Simply adding provisions to the curriculum, it turned out, was not a magic wand that could make financial education happen. But we also found that schools just don’t have the capacity to deliver financial education without help. 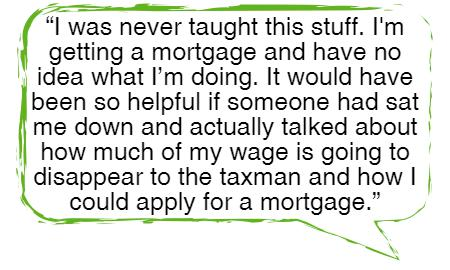 Teachers are people like the the rest of us, and many lack the confidence, knowledge and skills to deliver the financial education that young people need. As our original report found, two thirds of teachers don’t believe that financial education is even “somewhat effective”. A great part of solving this must be for schools to overcome their current lack of capacity. In this short report we argue that schools should be supported to build up their own capacity to deliver financial education in house, but also that schools and policy makers must embrace and pour resources into using outside experts to deliver financial education directly. Why do we need direct delivery today? Financial education is a fiercely urgent matter. A third of young people consider themselves over indebted by 24 and each year, so it is not a challenge we can leave for the long term. Here, we argue that the short term challenges to the delivery of financial education can only be met by bringing in experts to deliver it directly. For nearly three in five teachers, a lack of skills is seen as a key barrier to their school delivering good financial education. Even if schools can overcome the barriers to offering financial education outlined above, finding the leadership, and space in the timetable they need, they’re still left with the challenge of how best to deliver it. The first thing we know is that simply asking teachers to teach finance in their tutorials, Maths or PSHE classes is not enough. 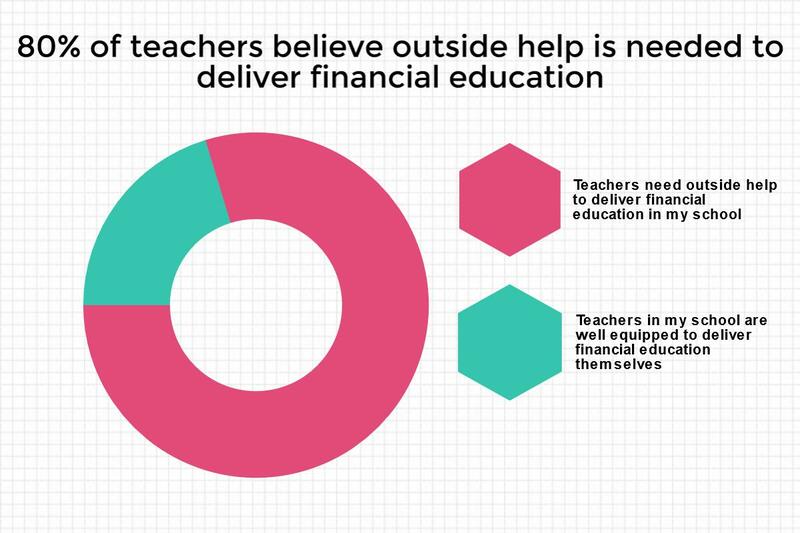 Nearly seven out of ten teachers don’t believe that their schools are equipped with the skills required to teach financial education. 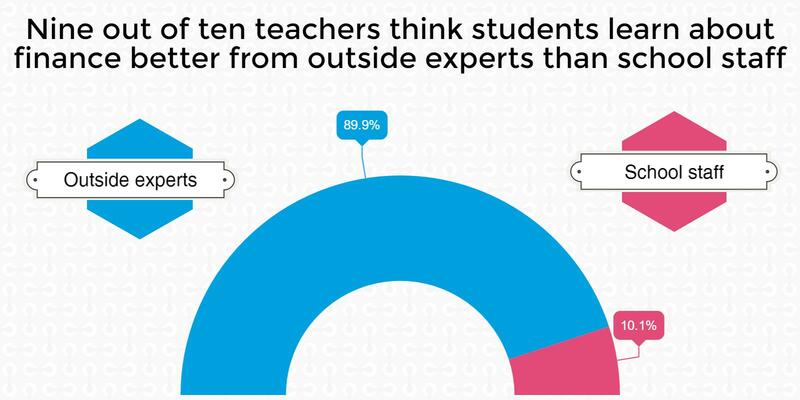 More than 80% believe that teachers need outside help. Teachers are no different from the general population, and to expect them to be experts on financial products, the emotions behind spending money and all the rest is unreasonable. The common rea ction from those who have not worked in the sector is that the first of these would be the best option – under the theory that if you “give a man a fish, you feed him for a day; teach a man to fish and you feed him for a lifetime”. Providing schools with the tools and skills they need to provide financial education themselves seems to make sense. It worth noting that the significant barriers above: skills and the competition of other subjects are direct blocks to delivering financial education in-house without transformative change, but can be circumvented to a degree by bringing in outside experts. Training teachers is very time and resource intensive, and because financial education is never the primary vocation of any given teacher, they will often move on, depriving the school of skills which it invested in building up. 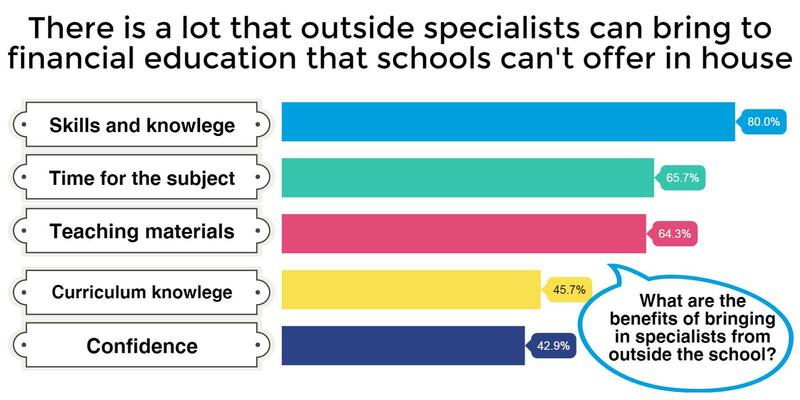 And even with the notable exception of our friends in Young Enterprise, the resources are not there for schools to train teachers in the same way they are for other specialist subjects. Both funding for this and organisations offering help are not at the scale and prevalence they would need to be for schools to be able to build their own capacity. In short, for many schools, the practical challenge of building and maintaining the skills and a resource base to deliver financial education in house is extremely difficult. For that reason, many opt to deliver at least a part of their financial education by bringing in outside experts whose purpose it is to have the skills and resources good financial education delivery requires. At The Money Charity we would be very happy for teachers to be trained so that schools were in a position to deliver the entirety of a good financial education. But in the current circumstances, any healthy provision of financial education must involve a mixture of outside expertise and additional work from school staff. Schools are already delivering using a mixture of methods, with the majority of schools both delivering their own lesson plans and bringing in experts. 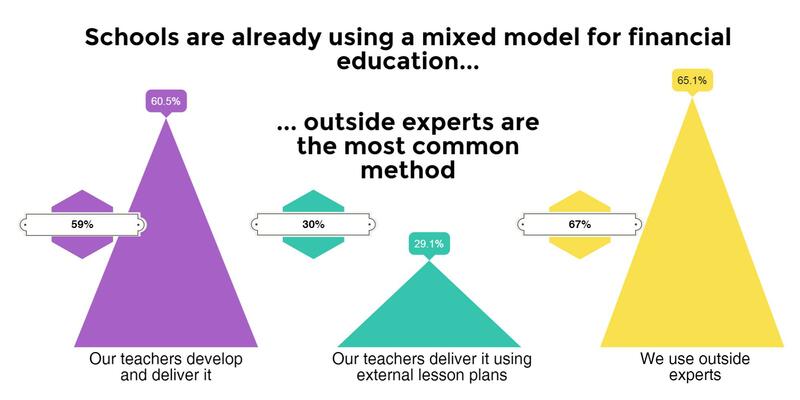 Today, the practice in schools of using a mixture of methods, with teachers building on the expert delivery of experts makes sense. Direct delivery can bring specialist resources and expertise which can be supplemented by the ongoing work of teachers who have more time to work with students. Recently, The Money Charity has embraced this by producing follow up resources for our direct delivery which teachers can use to embed what our consultants provide. The case we make goes beyond using direct delivery as a stop-gap method while schools build up their own capacity to deliver financial education. Even if funding, training and lesson plans were available to teachers, there is still significant appetite for direct delivery. 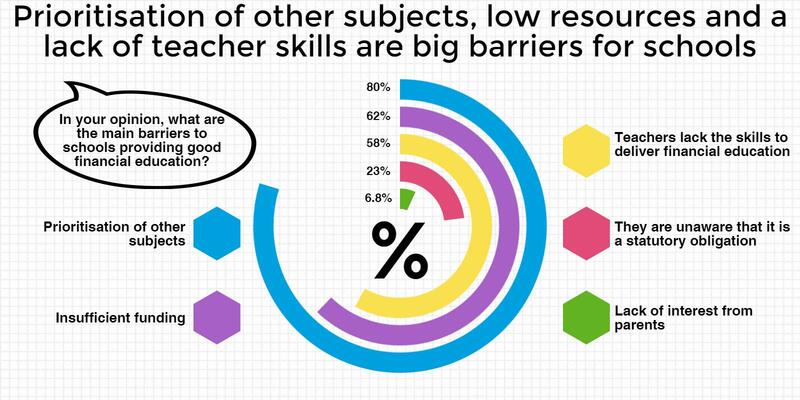 Over two thirds to teachers cited the skills, materials and amount of attention specialists could offer, and it is very difficult to see these relative benefits disappearing without the a huge transformation in the ways that schools and colleges operate. Within the constraints that schools face, they cannot replicate the benefits of direct delivery by training up their own staff. 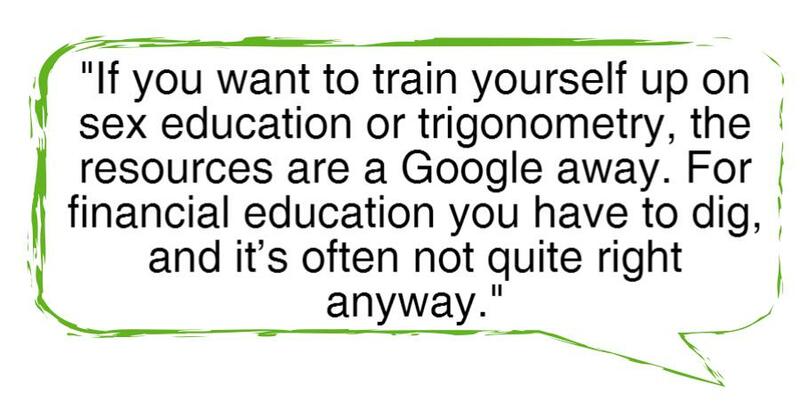 The ”teach a man to fish” theory is great on paper, but they would need to be able to build the skills and confidence, find the time and have the materials that outside experts are able to offer right now. This might be possible in the lo ng term if a huge and concerted effort is made to treat financial education with parity to other subjects. But we and the teachers we surveyed, recognise that in reality this is an insurmountable challenge – at least for the foreseeable future. Our trainers have skills and specialism that teachers who have to focus on their own specialisms will never fully be able to meet. Unless the way that schools are structured changes completely, any healthy provision of financial education must involve a mixture of outside expertise and work from school staff. The Money Charity calls on policymakers and school leaders to recognise this mixed method as the optimal model for delivery. Whether in house or by direct delivery, financial education takes attention, time and money from schools. This must be recognised in the curriculum and given appropriate funding. Good financial education requires a coherent strategy and en effort to overcome the shortfalls in staff expertise. If staff are not confident that they can deliver financial education well and sustainably, direct delivery is the best way to overcome this shortfall. * About the survey: The Money Charity bases this piece on a survey of 126 teachers and in depth interviews with a further six. A description of the methodology can be found in the PDF version.